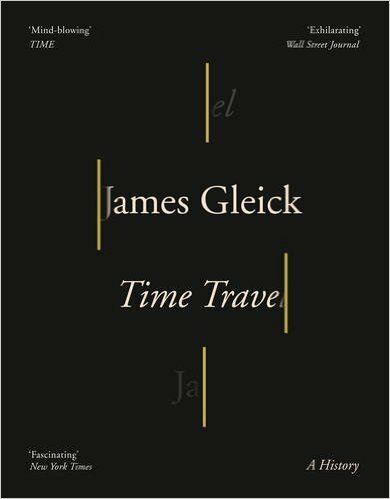 It's hard to imagine a topic that is more rife with paradoxes than time travel (or 'Time Trave' as this book's trying-too-hard cover design appears to call it), so it shouldn't be surprising that this book itself is a paradox. There are few subjects more dripping with potential for fun popular science than time travel - but this isn't a popular science book. It's true that there are few writers who can rival James Gleick when he's on form at writing a popular science title. But this isn't one. Quietly, without fuss, he announces that time travel is impossible. It's not real. It could be a very short book... but it isn't. 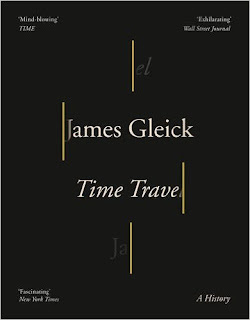 Perhaps I should have got a clue from the amount of time Gleick spends in the first two chapters on The Time Machine. Of course, it makes sense now. He's going to give us a rollicking exploration of the science fiction that has made time travel a part of our everyday lives and tell us more about the writers who've made it happen. But the book doesn't do that either. Although Gleick gives us a spot of biographical information on H. G. Wells, we hear hardly anything about the other SF writers he references - and, in the end, this isn't much of a book about the science fiction of time travel either. Instead what we get is hand-waving philosophising, bringing together a pop-philosophy mix of time in our culture, pure philosophy and a spot of philosophy of science, considering whether physicists really do believe that time does not exist. It's verbose, waffly and hard work for little reward. If you read that and think, 'Wow, great prose,' this is the book for you. If, on the other hand, your pretentious twaddle detector goes off, avoid it. I'd also note that this is not the only example of something in the book that raised an eyebrow. Roger Bacon only wrote in Latin, so this is a translation, and why Gleick has used such an old fashioned one, other than to be quaint, is hard to understand. This book will definitely divide readers - but as popular science I can't feel any love for it.